How a seemingly small change is making a monumental difference -- and turning untapped potential into practical power. 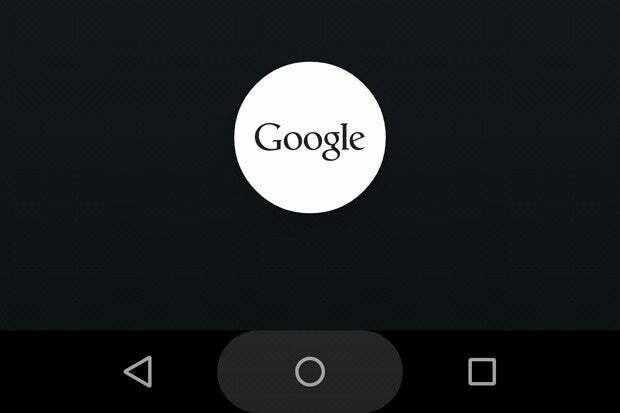 Ah, Google Now On Tap. Has there ever been another Android feature that went from "magical" to "meh" with such a spectacular thud? When we first heard about Now On Tap last summer, it sounded downright transformational. 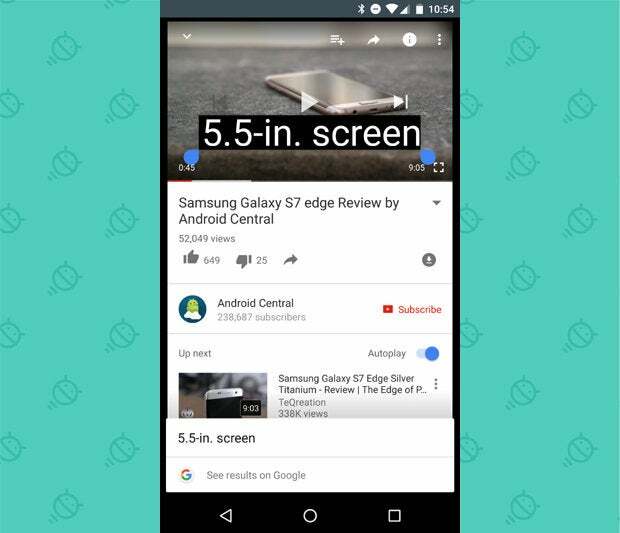 Google revealed the feature during its 2015 I/O developers' conference and left most of us positively dazzled by its prospect. Now On Tap seemed poised to change the way we interacted with our Android devices -- promising to turn Google Now into "a connective tissue that ties everything on your device together with potent Google intelligence," as I wrote at the time. Boy, did it ever fail to deliver. When Now On Tap came into the world last fall, it didn't take long to realize it wasn't going to live up to the expectations early demos had created. The feature did feel magical on occasion, but the scope of its power was limited and unpredictable -- and that made it far too inconsistent to be useful. Unlike the carefully controlled version we'd seen on stage months earlier, the real-world product felt like more a novelty than a necessity. There are enough instances when Now On Tap struggles to deliver that I suspect it'll end up being quicker and simpler for most people to rely on good old-fashioned searches in the long run. Once the novelty's worn off, a feature like this has to nail it almost flawlessly to be worth using. If it fails to get you the info you need even a quarter of the time, it gets frustrating fast and starts to become more of a time-consumer than a time-saver. And that, as we all now know, is pretty much what ended up happening. I've rarely encountered anyone who actually uses Now On Tap with any regularity; most everyone I talk to either ignores it or went out of their way to actively disable it so they could make the long-press-on-Home shortcut useful again. Google was clearly aware of this. And with a Now On Tap update announced last week, the company has finally found the key to tapping into Now On Tap's potential -- in a way that's far more significant than it initially appears. The Now On Tap update, if you haven't yet heard, adds a new element to the Now On Tap experience: In addition to just blindly tapping and holding your Home button and seeing what contextual info Now On Tap might provide, you can now activate Now On Tap and then select specific text on your screen for the system to analyze. You might select a word in an email to get a quick definition, for instance -- or you might select a word within an image to access additional info. Now On Tap will now even let you select words that appear on-screen within videos, which is a pretty wild thing to experience. The specifics of the results do still vary: With certain types of terms, Now On Tap gives you advanced information -- like directions and reviews for a restaurant, showtimes and reviews for a movie, or biographical info and relevant links for a famous person. With other terms, it provides only the ability to view basic search results. But here's what's important: While Now On Tap still isn't always magical, it is now always useful. That's a critical change from the feature's initial form, in which you'd get either magic or nothing -- with the latter happening often enough that it just wasn't worth rolling the dice after a while. Now On Tap didn't just gain a new trick, in other words; it gained an actual purpose -- a reason for existing that justifies its prominent placement in the Android software. 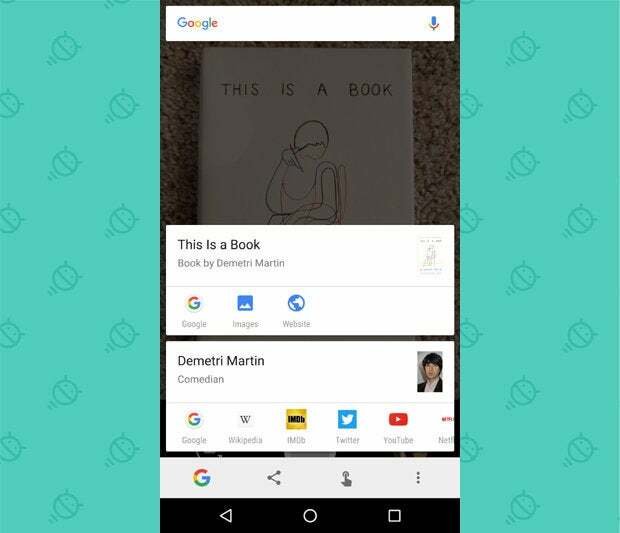 In the bigger picture, Now On Tap is effectively turning into a versatile and universal system-wide search function for Android -- a fast and easy way to get extra info about anything on your screen. 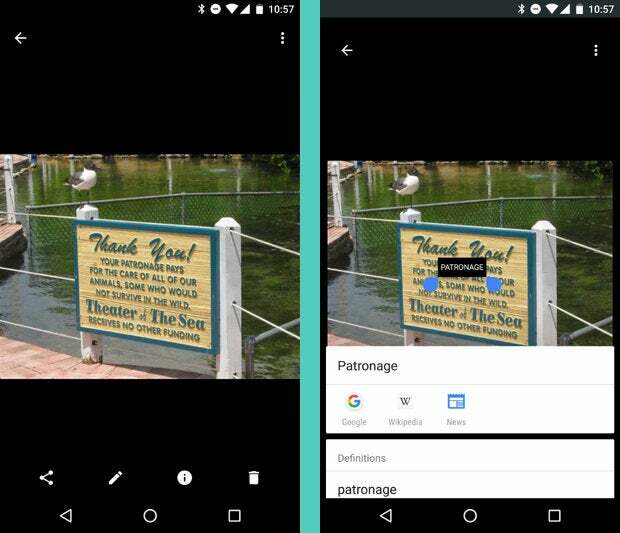 This month's update even allows you to use Now On Tap to get contextual info about text-free images, whether they're photos in your gallery, pictures from the internet, or even just objects you're looking at live through your device's camera. In any of those scenarios, Now On Tap can analyze the image and provide context -- about famous structures and landmarks, works of art, or even everyday objects like books and movie posters. See something you want to learn more about? Just fire up your camera, aim the lens at it, and tap and hold your device's Home button. Doesn't get much easier than that. Practical value aside, these changes represent some significant shifts in Android's evolution -- in two different but equally interesting ways. 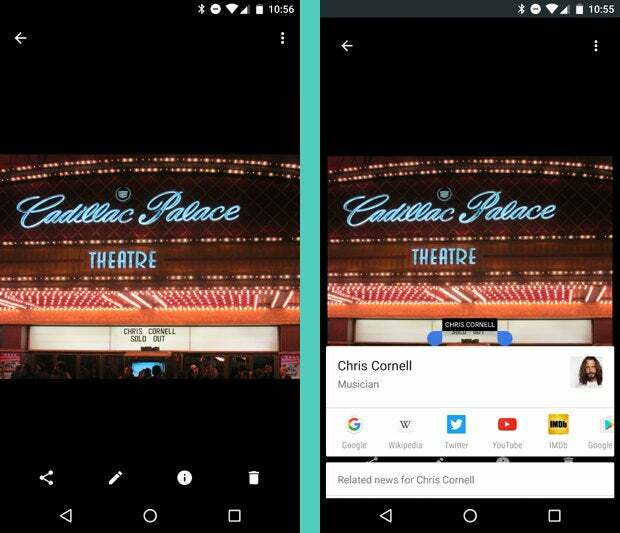 First, as I noted on social media the other day, what we're seeing with Now On Tap's new contextual image-search ability is essentially the core function of the old Google Goggles app becoming a native part of Android itself. Goggles was a once-groundbreaking image identification program, but it was never quite developed into something convenient or mainstream. As a fully integrated and always-on-tap (so to speak) part of the operating system, Goggles' intelligence finally has the capacity to shine. Second -- and going back even further into the platform's history -- Now On Tap on the whole has basically become an expanded version of Android's old system-level Search button. If you've used Android for long, you probably remember that all early phones had a dedicated button for search alongside the Home and Back keys (and yes, that blasted old physical Menu key, too -- but that's another story). The main idea behind the Search button was to make it easy to search for info anytime, regardless of where you were in the system. With its newly expanded abilities, Now On Tap serves that same function -- only with a lot of added context and smarts that make it even easier and more effective to use. Think about it: Instead of tapping the Search button and then manually typing in what you want, you now tap and hold your Home key and let Now On Tap take its best stab at giving you what you're trying to find. If the software doesn't get it automatically, you then simply touch words on the screen and use those as a query. Just a second ago, I said Now On Tap was turning into "a versatile and universal system-wide search function for Android." See the connection? Years of software advancements add a lot of sophistication into the process, but the basic goal is still the same. The Search button is back, baby -- just in a different place, with a different name, and with some fancy new tricks under its belt. We've come full circle. Last October, I wrote that Google needed to find a way to take Now On Tap from being a neat and sometimes-useful trick to being a consistent, reliable, and indispensable part of the Android experience. With this new expansion, the company finally seems to have figured out the recipe to accomplish that. And craziest of all? All it was missing were a few simple ingredients -- and they were right there in Android's deep freezer all along, just waiting to be brought back into the mix.